We love having our community together for our Day of Service! Mural painting has become one of the staples of our work day! 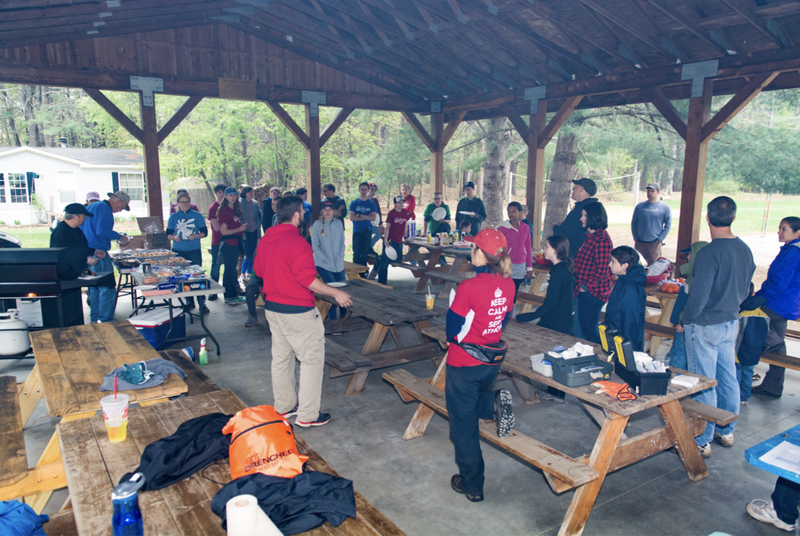 We are excited to be getting ready for a morning of service and afternoon of celebration at the YMCA Camp Tricklin' Falls in East Kingston, NH. All New Hope families are invited and encouraged to participate in this great day! We have been successful in our fundraising, and now the work we are doing at the camp will allow the Y to focus their attention on summer programming, as well as their own scholarship fund for campers. We have been thrilled by this win-win partnership. Students and families get ready to enjoy lunch after a job well done! You may also bring other things depending on your job. An exciting part of serving at the Y is that we will all be on the same team, and everyone will need to bring an attitude of servanthood -- you may sign up for a particular job, but if you finish and there is other work to do, we'll ask you to pitch in! Between 11:30-noon, we will wrap up the morning service and transition to the celebration picnic. New Hope families and alumni are all invited the picnic, even if you cannot serve in the morning. Come celebrate not only the success of the Servathon, but our whole year together! We will be in touch about food items you can contribute to the lunch.